I’m grateful for the nomination and the support… especially since it led to my book winning this year’s award for Best Other Novel! I am so excited that the first book in my Braxton Campus Mysteries series won. You can see current standings here. This entry was posted in College Campus Cozy Mystery, Cozy Mystery Series Readathon, My Blog, My Writing and tagged academic curveball, author, award, book, critter, poll, Vote, winner. 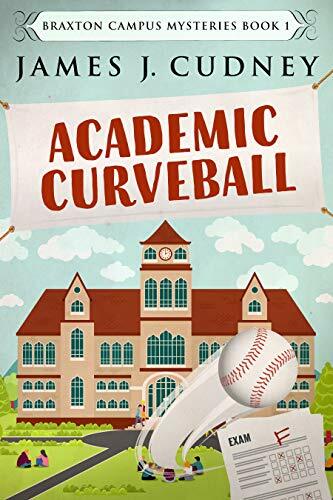 The Great Escapes Virtual Book Blog Tour for my cozy mystery, Academic Curveball, the first in the Braxton Campus Mysteries, comes to a close today. The last ten days have been a full of fun, laughter, and great reviews. I’m grateful to all the participants and to Lori for running such a wonderful tour. Below are the highlights about the book and all the blogs where you can find interviews, summaries, reviews, and a lot more, including the giveaway which ends soon. Thank you! This entry was posted in College Campus Cozy Mystery, My Blog, My Writing and tagged academic curveball, blog tour, book review, cozy mystery, gratitude, Great Escapes. If you’re up for voting in other categories, check out my friend, Brian L. Porter’s, two books which are also up for awards in different categories: (1) Last Train to Lime Street (Mystery) and (2) Cassie’s Tale (Non-Fiction) . Thanks! This entry was posted in College Campus Cozy Mystery, Cozy Mystery Series Readathon, My Blog, My Writing and tagged academic curveball, author, award, book, critter, poll, Vote.